Dr. Hudon offers several alternatives to the traditional gum grafting techniques that required removing tissue from the roof of your mouth in order to place it in the receded areas. 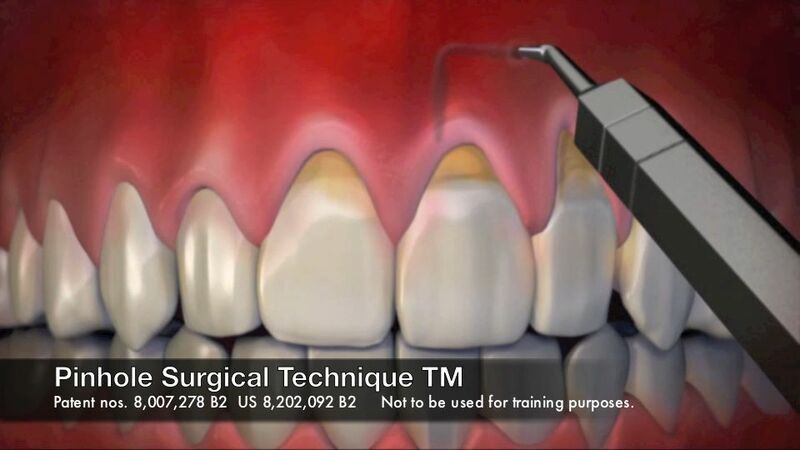 The Pinhole Surgical Technique (PST™) is one of the most recent and exciting techniques! Most of the work is done through a minimally invasive, 2mm, round incision or “pinhole”. Special instruments are used to loosen the gum tissue, collagen is placed, and the gum tissue is moved to cover as much of the exposed roots as possible. Using this technique, Dr. Hudon has been able to treat many teeth at one visit and often all of the teeth that have recession in one session. Most of the cases are completed without sutures and patients have been reporting that they were surprised at how good it looked right away and that they managed the discomfort afterwards with over-the-counter medicines like ibuprofen, Aleve, or Tylenol. PST™ may be just what you need to take care of receding gums and restore your smile. The Pinhole Surgical Technique PST™ was invented and patented by John Chao, D.D.S. and has been deemed a ‘breakthrough’ technique for gum recession and treatment options for receding gums. Gum recession is just one of the signs of gum disease, but can also be caused by using the wrong tooth brushing technique or as a side effect of certain medications that increase the risk of periodontal disease. Traditional gum surgery and some orthodontic treatments can also cause gum recession. The Pinhole Surgical Technique PST™ may be an attractive alternative to traditional gum grafting that involves removing tissue from the roof of your mouth. Minimal bleeding, swelling, and pain as compared to grafting from the roof of the mouth.